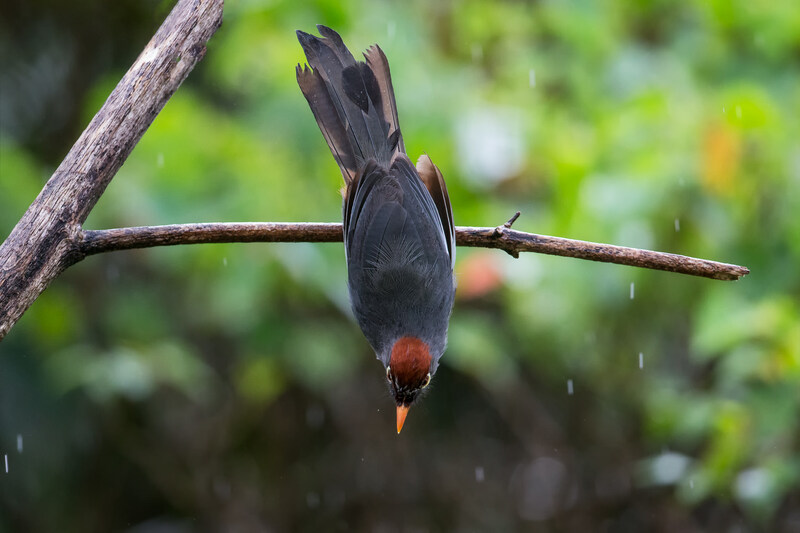 The Spectacled Laughingthrush is a species of bird in the Leiothrichidae family. It is found in Bhutan, China, India, and Nepal. 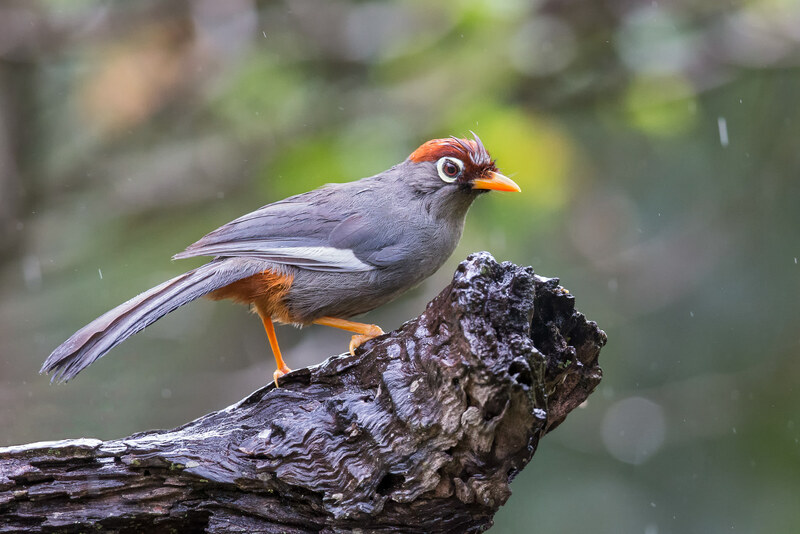 The silver-eared laughingthrush, formerly included as a subspecies, is now usually regarded as a separate species. 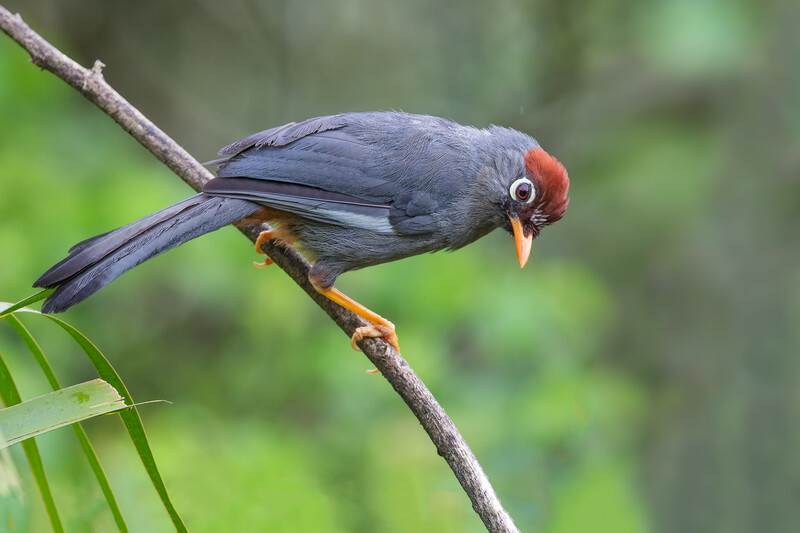 The Laughingthrushes is 24 cm long originates from Sumatra and a very common resident of the Malaysian sub-montane forest. 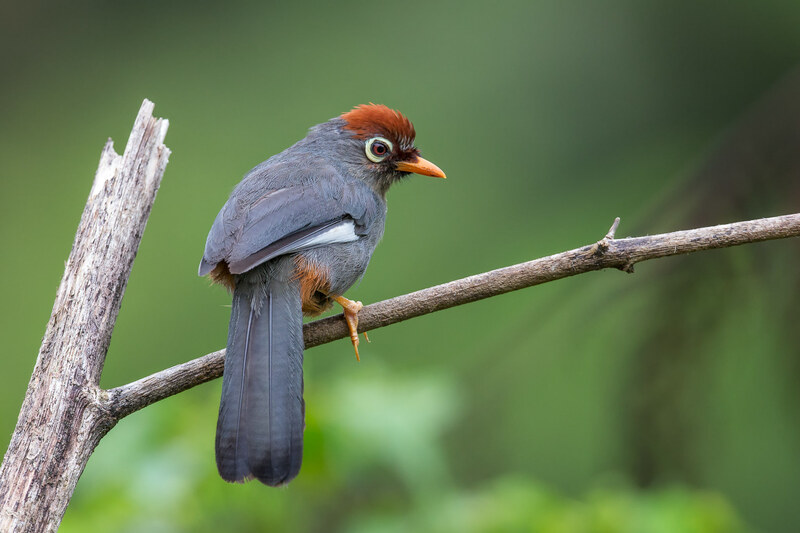 A new genus “Rhinocichla” would be started for this bird and the designation of Rhinocichla mitrata or Spectacled Laughingthrush would be used. 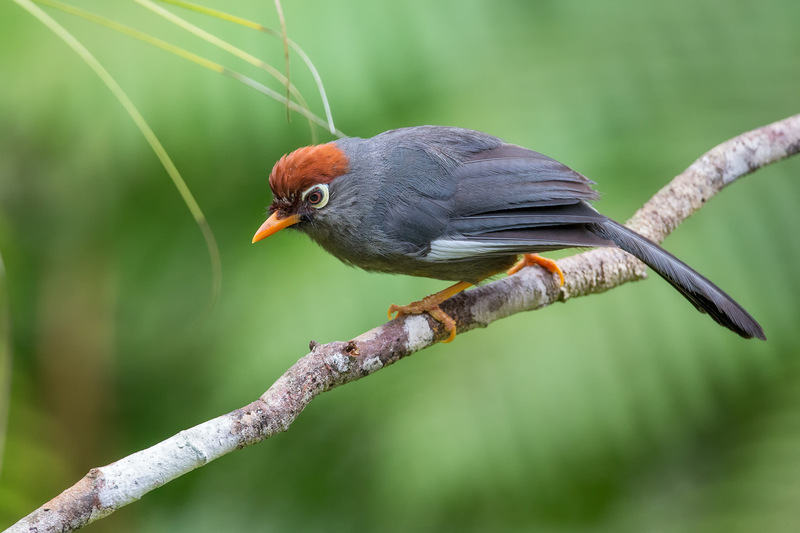 One point very special about the bird is its continuous and reassuring calls that there are birds around and hidden within the dense forest. Then the group of birds, fearlessly moving across the foliages and confirming the presence of bird life at that point of time. Unlike the other two Laughingthrushes mentioned on this page, this species is hardly seen moving in low level though there are times they were seen in the lower storey but I had never witness them foraging on the ground.